LONG BEFORE MEDICAL SCHOOL EVEN STARTED, I KNEW I WAS MEANT TO BE A PHYSICIAN. AFTER ATTENDING COLLEGE AT THE UNIVERSITY OF VIRGINIA, WITH ADDITIONAL GRADUATE STUDIES IN HEALTHCARE ETHICS AT RUSH UNIVERSITY IN CHICAGO, A CORPORATE CAREER HAD ME RESEARCHING MEDICAL SCIENCE AND EVOLUTIONARY BIOLOGY AS PART OF MY JOB. This led to a curiosity about the natural state of all things, including people, health and the way in which we live in this world. With that knowledge and authorship on articles about evolutionary medicine, I wrote a book about food and stress still available on Amazon: Low-Stress Food: Eat Your Way to a Low-Stress Life. During that project, I decided that Touro University, College of Osteopathic Medicine was the best place for me to begin my formal medical training. Perfectly situated in the Bay Area, known for it’s intellectual and innovative demographic, but also at the leading edge of integrative medicine and holistic health, Touro offered an osteopathic medical education that was grounded in Western medical science, but rich with explorations into the interconnectedness of human health and the natural laws by which we are governed. I sought out further training in nutrition and integrative and functional medicine from beloved mentors, such as Dr. Sara Gottfried. Dr. Rick Shames, Dr. Deborah Metzger, Dr. Jacqueline Chan and Dr. Michelle Veneziano, who helped affirm the truths I had come to understand. USC’s Family Medicine Program deepened my medical knowledge and provided the inspiration to start my own medical practice outside of the prescribed convention of hospital walls and academic institutions. A path that started well over 9 years ago, I am excited to be your partner in health and vitality at Functional Medicine SF. When not in the office seeing patients, I am involved in professional pursuits in the consumer healthcare world, consulting for Ava Women (www.avawomen.com) and Immortal Herbs (www.immortalherbs.com) and collaborating on the advancement of functional medicine through EvoMed and the Functional Forum (www.functionalforum.com). 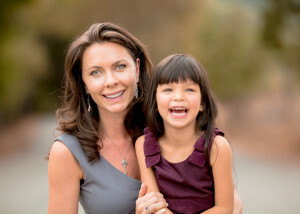 Oh, and I’m also a mother to a sweet and curious Kindergartener, eager to keep her engaged and connected in this world, worrying over what foods she eats and to what chemicals she’s exposed. In my time off, I like spending time with my family, including my five chickens and 2 kitties, hiking the peaks and valleys of Mt. Tam, shopping the local farmer’s market, hosting Paleo-inspired dinner parties, working on my gluten-free baking, singing while in plank pose and traveling for intellectual pursuits and pleasure. A recovering achievement addict, I understand what it’s like to be balancing a full life, while still wanting more! Dr. Stephanie is a member of the Institute for Functional Medicine and has completed the Applying Functional Medicine in Clinical Practice seminar. She is also a member of the Bay Area Functional Medicine group (www.bafm.org), which meets monthly to discuss research and clinical applications of functional medicine in practice. Dr. Stephanie mentors physicians and other clinicians in the practice of functional medicine and is an instructor at Touro University College of Osteopathic Medicine. She also serves as a preceptor to medical students, residents and fellows of UCSF’s Osher Center. Dr. Daniel is a member of the American Academy of Anti-Aging Medicine (A4M), the American College for the Advancement of Medicine (ACAM), the American Osteopathic Association (AAO), American Academy of Osteopathy (AAO) and Osteopathic Physicians and Surgeons of California (OPSC). She has studied with the Center for Education and Development of Clinical Homeopathy and Dr. Sara Gottfried’s Get Vital, Stay Vital Practitioner Mastermind training program.